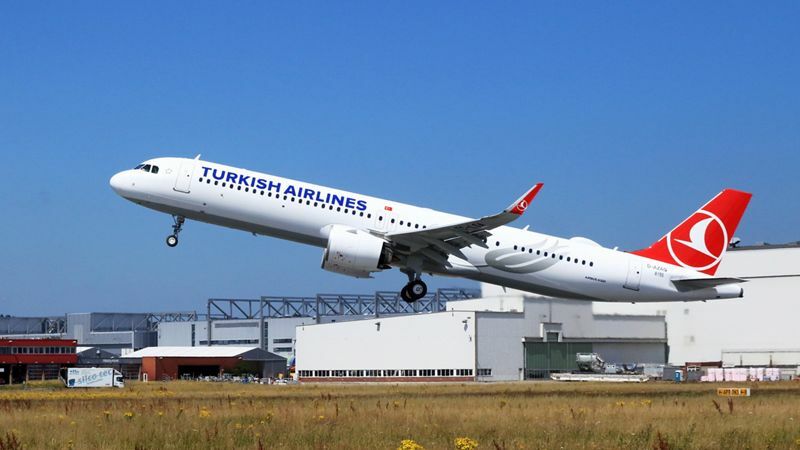 Pratt & Whitney along with Turkish Airlines celebrated the delivery of the airline's first Airbus A321neo aircraft. This aircraft is powered by Pratt & Whitney Geared Turbofan™ (GTF) engines, as will the remaining 91 aircraft from the carrier's order for A321neo. The GTF engine is 16 percent more fuel efficient and 75 percent quieter than current contemporary engines. "We are very excited to integrate our first GTF-powered A321neo aircraft into our ever-expanding fleet," said Ahmet Bolat, chief investment and technology officer, Turkish Airlines. "This aeroplane and engine will allow us to provide a quiet flight experience to our passengers, expand our route network, and reduce fuel consumption." Turkish Airlines currently operates a fleet of 97 V2500-powered A320ceo family aircraft and 10 PW4000-powered A330-200 aircraft. The airline has a long history with the manufacturer, dating back to the DC3 aircraft powered by the Wasp engines. The aircraft also features the Airbus 'Cabin-Flex' configurations for up to 240 passengers. Turkish Airlines will operate the aircraft in a configuration with 20 seats in Business Class and 162 in Economy Class. Recently, the airline released its June traffic results which showed an increase in passenger numbers to 6.3 million, a 10.6 percent rise from the 5.7 million people in the same month last year. The highlights of the month for the airline included. Increase in number of passengers carried in domestic and international lines are 14.5% and 7.8%, respectively. Total L/F increased by 2.6 point to 79%, while international L/F increased by 2.7 point. RPK increased by 8.2% to 12.4 billion during the period of June 2018 from 11.5 billion for the same period of 2017. Increase in RPK in domestic and international lines are 14.6% and 7.2%, respectively. International-to-international transfer passengers increased by 0.7%. International Non-transit passengers increased by 16,9% compared to the period of June 2017. Cargo/Mail carried during the period of June 2018 increased by 18.6% to 115,989 tons from 97,828 tons in 2017. Increase in RPK in Europe, Africa, Domestic Lines and Middle East are 15.1%, 14.3%, 13.8% and 11.4%. Increase in passengers carried in Africa, Europe, Domestic Lines and Middle East are 15.7%, 15%, 13.8% and 10.2% respectively.